Losing weight on it’s own just isn’t good enough. Many weight loss approaches attempt a very basic and misguided “CALORIES IN, CALORIES OUT” approach, which doesn’t take into account enough factors and won’t work long term. Instead, visceral fat (dangerous and toxic fat) burn should be the focus. Being able to lose uninvited, toxic fat will be life changing on an internal and external level. If you’ve tried things that haven’t allowed you to drop the numbers on the scale, you’re not alone. This is exactly why Revolution Weight Loss has helped so many people across the country, of all ages and health status, achieve massive results. The missing element in the other weight loss programs is in that they’re not addressing your METABOLISM. 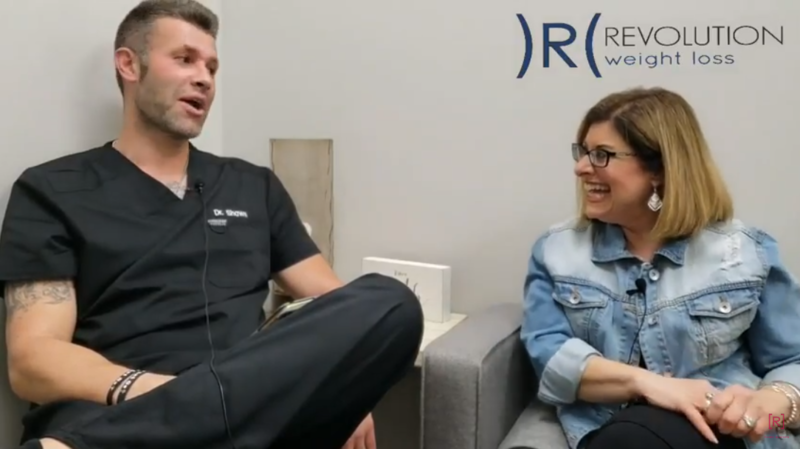 During your time with us, we customize a 6 week metablic reset strategy and then follow up with a maintenance structure which allows you to segway back into a lifestyle you’re comfortable with. Both for eating style and weight management. You want to lose the RIGHT kind of weight (unhealthy fat). You want to keep it off. You want to be able to enjoy foods again without unsustainable restrictions long term. If you are searching for a medical weight loss solution, our team is here help! Most weight loss programs set you up for short term success at best, because nothing to support long term weight management has been addressed. You may have been on a diet (pre-packaged foods, shakes, or the newest trendy supplement), relied on hormone injection (synthetic or bio-identical) to encourage short-term fat burning, relied on exercise, or attempted a surgical or pharmaceutical solution. Unfortunately, these approached damage your metabolism and may leave it in a state worse than when you began. These approaches because they were never designed to change the necessary components of your biology in order to support a long term weight solution. 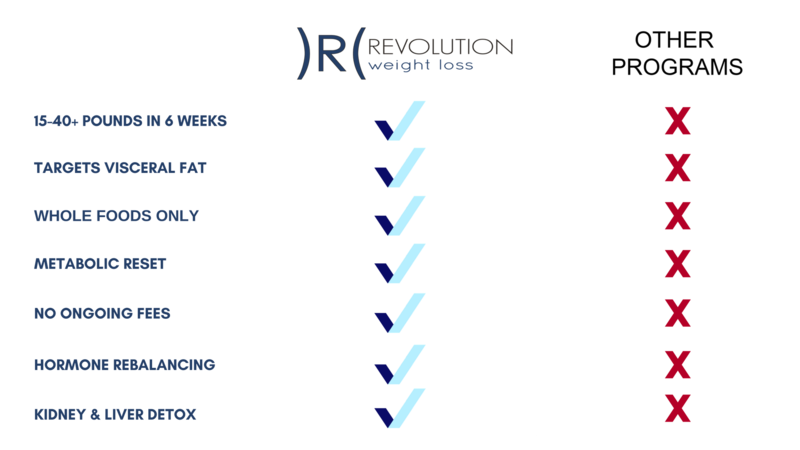 The Revolution Weight Loss system provides a metabolic reset along with re-educating your nutrition approach, habits, behaviors, digestion, and brain chemistry concerning foods and cravings. In combination, this process allows your metabolism to return to a natural and healthy balance, promoting fat burn indefinitely. This is why our clients experience such massive and life changing results in such a short time. Our team of experts is ready to meet with you to discuss a program that’s specially suited for you. We can’t wait to meet you!